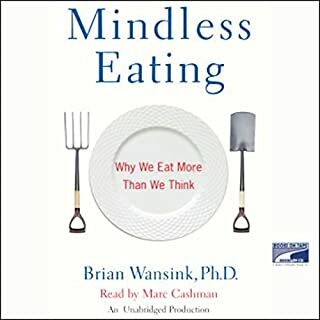 In this illuminating and groundbreaking new book, food psychologist Brian Wansink shows why you may not realize how much you're eating, what you're eating, or why you're even eating at all. Valuable information for anyone who eats. Food has the power to temporarily alleviate stress and sadness, enhance joy, and bring us comfort when we need it most. It's no wonder experts estimate that 75 percent of overeating is triggered by our emotions, not physical hunger. The good news is you can instead soothe yourself through dozens of mindful activities that are healthy for both body and mind. If you're an emotional overeater, you may turn to food to cope with stress and sadness, enhance joy, and bring a sense of comfort. But over time, overeating can cause weight gain, heart disease, diabetes, and many other health problems. 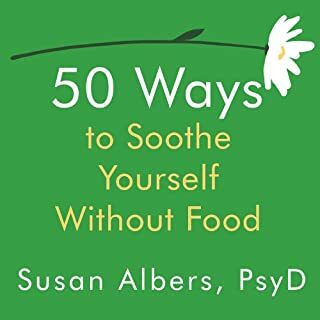 In 50 More Ways to Soothe Yourself Without Food, you'll find 50 more mindful and healthy activities to help you replace your need to overeat. 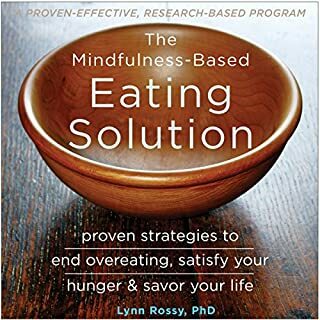 In The Mindfulness-Based Eating Solution, Rossy provides an innovative and proven-effective program to help you slow down, savor each bite, and actually eat less. 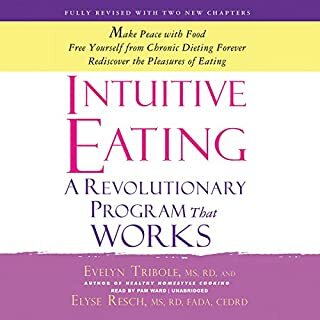 This unique, whole-body approach will encourage you to adopt healthy eating habits by showing you how to listen to your body's intuition, uncover the psychological cause of your overeating, and be more mindful during mealtime. The art of mindfulness can transform our struggles with food - and renew our sense of pleasure, appreciation, and satisfaction with eating. Drawing on recent research and integrating her experiences as a physician and meditation teacher, Dr. Jan Bays offers a wonderfully clear presentation of what mindfulness is and how it can help with food issues. 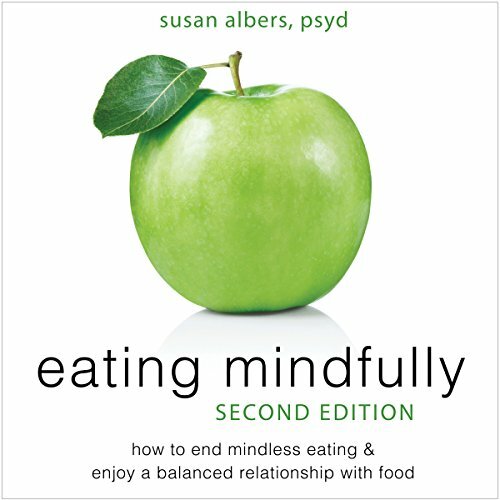 Mindful eating is an approach that involves bringing one's full attention to the process of eating - to all the tastes, smells, thoughts, and feelings that arise during a meal. Common sense tells us that to lose weight, we must eat less and exercise more. But somehow we get stalled. We start on a weight-loss program with good intentions but cannot stay on track. Neither the countless fad diets, nor the annual spending of $50 billion on weight loss helps us feel better or lose weight. Too many of us are in a cycle of shame and guilt. We spend countless hours worrying about what we ate or if we exercised enough, blaming ourselves for actions that we can't undo. You may have been drawn to the idea of mindful eating as an antidote to the empty promises of the diet industry, or you may have felt that it's time to pursue a more purposeful, more compassionate way of eating. Whatever your reasons and whatever your current relationship to food and your body is, this book can help you reconsider your eating habits and whether they are truly serving your highest good. Thin from Within explores the emotional triggers and ingrained behaviors driving overindulgence. It offers you powerful cognitive tools that will retrain your brain along with simple self-coaching techniques proven to break self-sabotaging cravings, compulsions, and emotional eating. These strategies will turn healthy eating into an effortless process of ongoing weight mastery. Thin from Within will make it easier than you ever imagined for you to lose those extra pounds for good. In Slim by Design, leading behavioral economist, food psychologist, and bestselling author Brian Wansink introduces groundbreaking solutions for designing our most common spaces - schools, restaurants, grocery stores, and home kitchens, among others - in order to make positive changes in how we approach and manage our diets. Thank you!!!!! Stephan Guyenet, THANK YOU!!!!!!!!! Ryan and Kim Smith struggled with dysfunctional eating throughout their lives. They had been on the hamster wheel of diets long before they met. From 2003, they ate their way through a decade plagued by massive weight gain until 2014, at which point they topped out at well over 500 pounds combined. First, Ryan began a weight-loss effort, then Kim followed suit, eventually leading them both to intermittent fasting. The journey transformed not only their relationship with food but with themselves and with each other. Building on his popular Ultimate Success series, "Support Surgeon" Dr. Duc Vuong returns with his latest weight loss surgery guide, this time for gastric sleeve patients. Presented in an easy-to-understand manner, he explains some of the anatomical and surgical aspects of this newer surgical procedure, while providing practical strategies on how to be successful long-term. Do you regularly deprive yourself, succumb to temptation, feel guilty, and then start the process all over again? If so, you need this audiobook. Dr. Michelle May will guide you out of the food-focused, diet-driven downward spiral that leads you to eat, repent, and repeat. She offers a powerful alternative: stop being afraid of food and start eating mindfully and joyfully. What would it be like to really savor your food? Instead of grabbing a quick snack on your way out the door or eating just to calm down at the end of a stressful day, isn't it about time you let yourself truly appreciate a satisfying, nourishing meal? In our modern society, weight concerns, obesity rates, and obsession with appearance have changed the way we look at food - and not necessarily for the better. If you have ever snacked when you weren't hungry, have used guilt as a guide for your eating habits, or have cut calories even when you felt hungry, you have experienced "mindless" eating firsthand. This mindless approach to food is dangerous and can have serious health and emotional consequences. But if you've been mindlessly eating all your life, it can be difficult to make a change. When it comes down to it, you must take a whole new approach to eating - but where do you begin? Practicing mindful eating habits may be just the thing to make that important change. In fact it might just be the answer you've been searching for all these years. 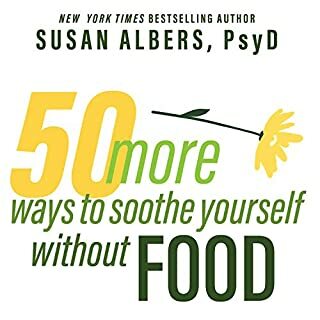 The breakthrough approaches in Eating Mindfully by Susan Albers use mindfulness-based psychological practices to take charge of cravings so people can eat when they are hungry and stop when they feel full. This audiobook helps listeners change the way they approach mealtime. 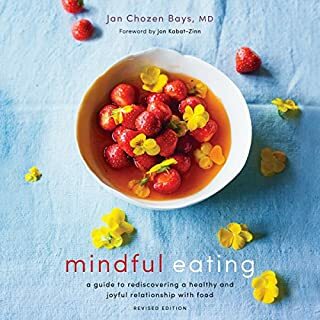 It includes a section that focuses on the occasional mindless eater and emphasizes that mindful eating isn't only for those on diets or for those who have severely problematic eating habits - it's for everyone. It features over 50 new tips for eating mindfully. You will learn how to be more aware of what you eat and get to know your fullness and hunger cues and how to savor and appreciate every bite! I agree with other reviews. It is repetitive, but good repetitive. Sometimes you need to hear it said different ways to "get it". Fantastic book. Readers voice is easy to listen to. Author gets to the main point of so many issues underlying over eating....emotional issues. Learning mindfulness helps you to understand your emotional eating issues and how to use that understanding to make better decisions and alternate decisions on eating. If you could sum up Eating Mindfully in three words, what would they be? There are many great, simple ideas for waking up your mind to what is going into your body. This is a good book, but not on audio. It is full of ideas and tactics to help you be more mindful, which are hard to apply if you're listening to them one after the other. The narrator was fine, but I would have preferred a woman. Get the Kindle or better yet hard copy instead.